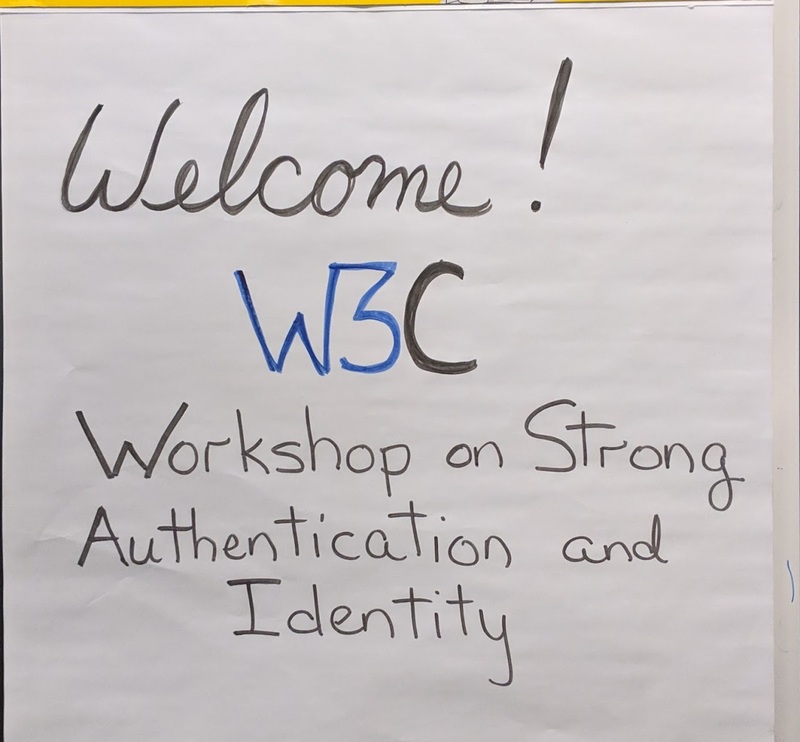 W3C published today the report of the W3C Workshop on Strong Authentication and Identity, held on 10-11 December 2018, in Redmond, WA (USA). W3C brought community experts together for a series of discussions on strong authentication and identity. We looked at standards work in-progress on Web Authentication and Verifiable Claims, and opportunities for future work including Distributed Identifiers and Attestation. Participants shared motivating use cases that could be aided by web technology, from web application sign-on to supply-chain tracking, government services provision, license authorization, health care, and financial transactions. Presentations and breakout discussions helped to identify gaps and interfaces between work areas. The workshop report describes current state of the art, and offers pointers to new work proposals in and around the W3C community. W3C thanks Microsoft for hosting, the Program Committee for organizing, and all the participants for their contributions.